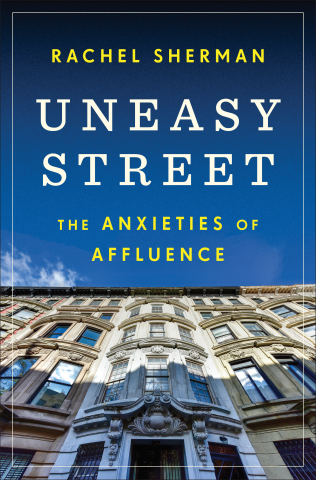 The essay was adapted from Rachel Sherman’s book Uneasy Street: The Anxieties of Affluence; I put a library hold on a copy right away and was finally able to read the book this week. It’s… I’ll just say that the essay was better. Unlike, say, Evicted: Poverty and Profit in the American City (which I reviewed last year), Uneasy Street isn’t written as a narrative. Instead, it’s divided into chapters based on different aspects of wealth and insecurity, and each chapter is written almost as a list: this person thinks this, that person thinks that, this family spends this much, that family spends that much. It’s hard to stay connected to what ultimately turns out to be a series of interview responses, although I did notice that certain themes kept rising to the top of the conversation. More than one interviewee worries that they don’t have enough money to cover major healthcare costs, for example. Many people worry about privilege or appearing privileged (which are two different things), and many people wonder whether they’re giving enough resources (financial or otherwise) back to the larger community. If you are interested in “how the 5 percent think,” you’ll find a lot of perspectives to consider. The chapters on interpersonal dynamics, e.g. how breadwinner/homemaker couples manage money or how parents attempt to teach their children that not everyone is as privileged as they are, are the strongest; the chapters where people list how much they spend are less so. Sherman also theorizes, at the beginning of her book, that people are either upward-oriented or downward-oriented: they either look up at people who have more and feel embarrassed/ambitious/defensive, or look down at people who have less and feel grateful/privileged/guilty. I’m pretty sure that theory doesn’t just apply to the 5 percent.